The sewage sludge contains abundant organic substances as well as a complex variety of inorganic substances (such as heavy metals). The extraction of protein from sludge is a new treatment approach to promote the utilization of sludge as a resource. However, heavy metals in sludge are extracted together with organic matter during the extraction process. 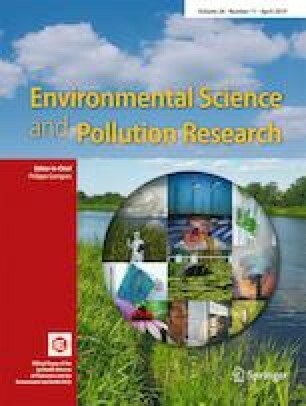 In this study, the amounts of protein and heavy metal in the supernatant extracted from sewage sludge were investigated, and the effects of different passivator (modified fly ash and modified sepiolite) on the speciation of different heavy metals in the sludge were examined. Both materials reduced the contents of protein and heavy metal in the supernatant. When the dosage of sepiolite was 0.10 g/g total suspended solids of sludge, the content of heavy metals was the lowest and the protein content had little change. It can be deduced by analysis of specific area that sepiolite can complex with heavy metal ions and the fly ash adsorb the metals by physical adsorption. The modified sepiolite can be seen as an ideal passivator due to higher protein content and less heavy metals in the supernatant, as well as more stable heavy metals in the sediments. • The protein in sludge is extracted by the combined effect of ultrasonic treatment and papain. • The modified fly ash and modified sepiolite are used as passivator. • The heavy metals’ contents in the supernatant were reduced by adding a passivator. • Modified sepiolite reduces the content of heavy metals in the extract effectively.